€ 75,00 € 90,75 VAT incl. € 96,00 € 116,16 VAT incl. € 0,90 € 1,09 VAT incl. € 499,00 € 603,79 VAT incl. € 39,00 € 47,19 VAT incl. € 45,00 € 54,45 VAT incl. 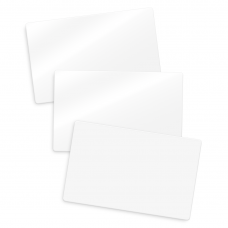 XL White blank plastic cards, size 90 x 140 x 0.76 mm. Packed per 100 pieces. 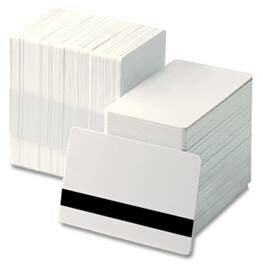 High quality blank plastic cards in the color white. The plastic cards are suitable to use for printing with our ID card printer SCC4000D. This handy badge jojo can be used to attach badges or keys to a piece of clothing. It can be perfectly applied in environments where identification takes place frequently, or where quick access to the badge is required. Because of the spring system, the holder can be easily extended, and automatically retracts when let go. The jojo is available in the color black, and is shipped in a package of 100 pieces. 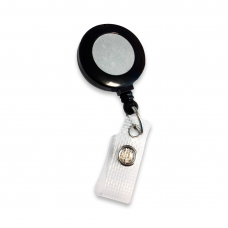 This handy badge holder with clip is suitable for attaching a badge to a piece of clothing. It is perfectly applicable in environments where frequent identification is required, or when quick access to the badge is necessary. The handy clip is very strong, and easily attaches to many items of clothing. In combination with a transparent hard plastic card holder. 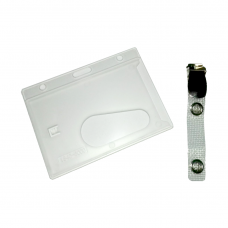 The card holder has a thumb hole so that the card can easily be removed from the holder. 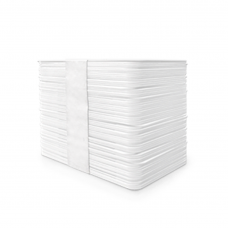 This product is particularly sturdy and can therefore be used in many different environments. Solid transparent badge holder fore plastic badges with a fiber reinforced vinyl strap and a metal suspender clip. Length of the clip is approximately 63 mm. The set is delivered together, and is packed per 100 pieces. At Card Supply Nederland you can have preprinted gift cards in order to give or sell a great marketing product to your customers. A wonderful advertising product for your customer to buy and give as a gift. Design the cards entirely according to your own understanding. The cards have enough space to display the necessary information. Display a bar-code or QR-code on the card so that your customer can exchange the credit with ease. You can have the entire card printed by Card Supply. For the best presentation of your gift cards. Ideal for online shops, clothing stores, DIY stores, game platforms or for example cinemas. The professional CCD 181 USB Camera oﬀers the freedom to easily capture video as well as high resolution images that are ideally suited for Photo ID Badges. The TWAIN compatible Camera is robust, has an autofocus camera and plugs into a computer via USB without diﬃculty. 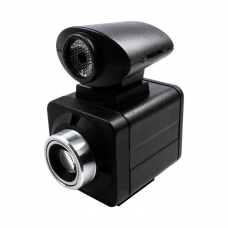 The CCD 181 USB Camera is compatible with the ScreenCheck ID solutions. Blank rewritable PVC cards have a shiny side for color or monochrome dye-sublimation printing and the matte side contains a thermochromic layer that is suitable for rewriting. The rewritable PVC card is available with the matt side in blue or black thermochromic material that can be printed to 500. The material on the rewritable side of the card becomes visible when heated to 180 ° C. The same material also reacts at a lower temperature, between 110-160 ° C to be precise, by becoming invisible. 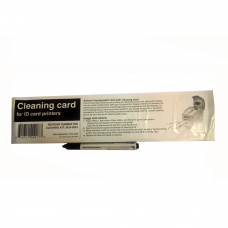 The plastic card can also be erased by applying this temperature and is then ready to reuse. A solid all-metal rack, perfect for employees’ clock cards or as display / storage rack for ID cards. This metal ID badge rack can hold up to 40 badges in horizontal position (landscape). The power of metal in a compact design. This durable, all-metal badge rack is a true addition that you can count on for years to come. With easy-to-clean, rust-resistant surface and 40 horizontal slots, there is no easier way to organize your employees’ badges in a limited amount of space. With this all-metal rack you can store ID cards and badges in a horizontal position. 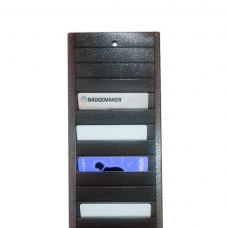 The high quality keyfobs with a Mifare memory chip are designed for professional access control systems. These tags are a easy to use small size, durable and shock resistant. The key tags, that have been subject to rigorous testing, protect and simplify the access of your building. Available with a wide range of customizable options, keyfobs are compatible with many brands of card readers. 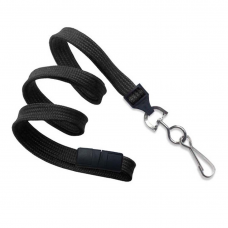 These fobs are made of durable waterproof PVC. Despite their small size, they work the same as a traditional card. 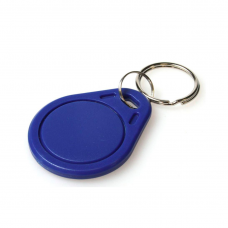 Instead of a traditional card shape, these fobs are designed as a keychain and used to store data for easy access . Each keyfob has a unique entry number (numbers are between 0 and 65.435) and numbers cannot be repeated. 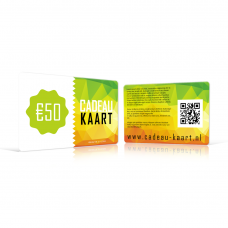 At Card Supply Nederland you can have preprinted customer cards to give as a great marketing product to your customers. A wonderful advertising product for your customer to collect points and receive discounts. Design the cards entirely according to your own understanding. The cards have enough space to display the necessary information. Display a bar-code or QR-code on the card so that your customer can collect points and discounts with ease. You can have the entire card printed by Card Supply. For the best presentation of your gift cards. Ideal for online shops, clothing stores, DIY stores and supermarkets. Plat zwart koord, 10 mm breed met metalen haak en break away.